I was talking with a co-worker this week about how to better integrate paid and natural search when she brought up a good point: you can’t even begin to achieve SEO/SEM synergy until all parties understand the basic difference between search keywords and search queries. If you’re like most SEOs, you probably use these words hundreds of times per week – but do you actually know what they mean? One of my pet peeves is when people use them interchangeably – and it can cause great confusion both internally and with clients. A query is what a user actually types into a search box. A keyword is something you are bidding on or optimizing for. This may not be a problem for smaller SEO firms, but anybody whose agency/company offers full scale services can easily see how referring to natural search, paid search, on-site search, and catalog search all as search from various departments who interchange keyword and query can cause tremendous confusion. One of my initiatives at work is to un-silo paid search, natural search, and on-site search. I have a report I call the rebidulator (revised bid calculator) as well as various dashboards that attempt to look at search as a whole. Shortly in to the project I realized that “keyword” means very different things to very different departments. ok great, different terms. got it. Now what? The next step is to evaluate what you’re looking at. If you’re doing paid search, are you looking at keyword performance or query performance? If you’re only looking at keyword performance (the words you bid on) and not the actual words your customers typed, you could be leaving a lot on the table. Here’s a made-up example that relates to my work with Ford. Suppose you have a broad match on the word mercury. With something like 20% of all queries typed into google being “virgin queries” (never having been seen by Google before) it only makes sense. 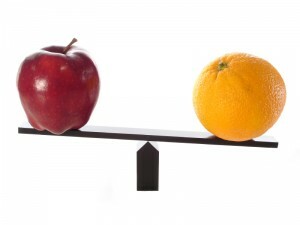 Now, you want to compare your natural search data and paid search data at the keyword level. Adwords/Dart/whatever you use most likely shows performance by keyword not query – so it’s easier to pull. But now you’ve got problems. Natural search is way out-performing paid search for the keyword mercury. Especially when it comes to bounce rate. Why? If you only looked at keywords and not queries you might not alert yourself to this. And that’s just one example. It doesn’t make sense to compare actual queries from SEO to keywords from paid search, yet I see countless companies do it. If you truly want to achieve paid and natural search synergy you’ve got to make sure your metrics enable you to collect and compare the right data. Are you integrating paid and natural search at your company? If so, how? Hopefully I can discuss some better integration techniques in a later post.